The following document is the minutes of the Ordinary Council meeting held 31 March 2016. These minutes are subject to confirmation as to their accuracy at the next meeting to be held on Thursday 14 April 2016 and therefore subject to change. Please refer to the minutes of 14 April 2016 for confirmation. Capt. Steve Dorman from The Salvation Army offered a prayer on behalf of the Nambucca Minister's Association. The Mayor presented Mr Ian Flarrety with his Australia Day badge for 2016 Citizen of the Year and Mr Garry Johnson OAM (Chairman of the Nambucca Shire Australia Day Committee) was on hand to offer congratulations on behalf of the Committee. 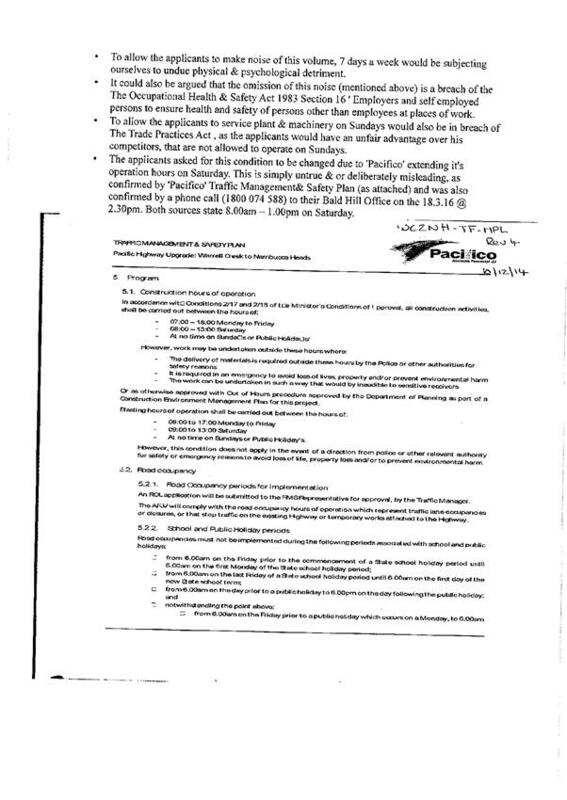 Councillor J Ainsworth declared a non-pecuniary significant conflict of interest in Item 9.4 Proposed Telecommunications Facility under the Local Government Act as Cr Ainsworth states that previous submissions suggest that the facility should be located on the “nearby cleared banana hill” land either owned by Cr Ainsworth or an adjacent neighbour. Cr Ainsworth left the meeting for this item. Cr Flack Motion regarding Cr Morrison. Point of Order called needs to be recorded: “Cr Morrison had breached the Code of Conduct and Code of Meeting Practice”. Cr Ainsworth left the meeting for this Item 9.4 at 5.55 pm and returned after the conclusion of the Item at 6.50 pm. · Do residents’ opinions not rate? That this application be refused due to social and environmental impacts and that the community is saying the service is not needed. The Mayor exercised her casting vote in accordance with her practice of only using it where her vote is consistent with the staff recommendation. That Council as the consent authority, pursuant Section 80 of the Environmental Planning and Assessment Act 1979, grant consent for Development Application 2015/195 for the construction of a telecommunications facility at Lot 2 DP 1039123 - 401 Gumma Road, Gumma, subject to the schedule of conditions outlined in attachment 3 of this report. The Mayor used her casting vote. The Mayor exercised her casting vote in accordance with her practice of only using it where her vote is consistent with the staff recommendations. That Item 9.3 be brought forward as the applicant was in the gallery. 1 Permit the proposed subdivision on Lot 1 DP 1119830 to rely on the existing grassed areas managed by Council as part of a plan of management within the adjoining Farringdon playing fields (Lot 76 DP 832082) for the purposes of an asset protection zone. 2 Not permit the creation of an asset protection zone within the unmanaged area of Lot 76 DP 832082. 3 Not permit the creation of an asset protection zone on Lot 23 DP 790194 or the adjoining Bellwood Road reserve. · Withdraw the development application. If the applicant has not responded by undertaking one of the above options within 60 days; the development application is to be referred to the Northern Joint Regional Planning Panel for refusal. 1 That Council accept the creation of asset protection zones on public land as requested by the applicant and accept the ongoing maintenance responsibility. 2 That Council advise the Joint Regional Planning Panel of its decision and also that the JRPP will need to assess as part of the development application any ecological and cultural impacts which might arise from the creation and maintenance of the asset protection zones. Note: Cr Flack requested that her vote be recorded against this recommendation because Cr Flack opposes the use of high conservation value remnant forest on Council owned land for the benefit of a private developer at ratepayers expense and because there has been no community consultation as to its wishes for the best use of this land. The meeting resumed at 7.30 pm. The Ordinary Council Meeting's Meeting IN CLOSED MEETING commenced at 7.30 pm. That Ordinary Council Meeting resume in Open Meeting. The Ordinary Council Meeting resumed IN OPEN MEETING at 10.06 pm. 1 That Council note the presentations by YMCA NSW and Community Aquatics Pty Ltd.
2 That there be a further report to Council on the preferred tenderer to operate the Macksville Memorial Aquatic and Fitness Centre. 1 That Council note the fee proposal from NSW Public Works for the preparation of an Integrated Water Cycle Management Strategy Plan. That Council receive a report from the Engineer on options for improving water flow through the property and the costs of those options. That the reviewed Policy - “Donations Policy” - be adopted by Council and Council’s current Policy titled “Donations Policy” be updated at that time. That Council receive the list of grant applications to 23 March 2016, and the list of current grant funding available from Council’s new Grants Calendar. That Council endorse the Minutes of the Committee of Management for the Tewinga Community Centre’s Annual General Meeting held on 5 March 2016 and thank the outgoing Committee for their work in the past twelve months. That Council receive and note the Season Report for 2015/2016 from the Australian Lifeguard Service. 1 That Council accept the upper limit fee proposal from NSW Public Works for the preparation of an Integrated Water Cycle Management Plan dated March 2016 (Proposal No. WSP 16011). 2 The Council note the report in the Closed meeting. There being no further business the Mayor then closed the meeting the time being 10.17 pm. Confirmed and signed by the Mayor on Thursday 14 April 2016. The confusion has arisen due to the fact that, although the WHS Act imposes a duty on an “officer” and a “person conducting a business or undertaking”, the definitions of “officer” and “person conducting a business or undertaking” include exclusions for an elected member of a local authority in that capacity. · comply so far as the person is reasonably able, with any reasonable instruction that is given by the person conducting the business or undertaking to allow the person conducting the business or undertaking to comply with this Act." A Councillor may be in breach of section 29 of the WHS Act if, by act or omission, they adversely affect their health and safety or the health and safety of other persons at a workplace. A health and safety duty is enforceable by fine under sections 31, 32 and 33 of the WHS Act, and if recklessness is established and serious injury or illness results then the penalty may also include a prison term of up to 5 years. 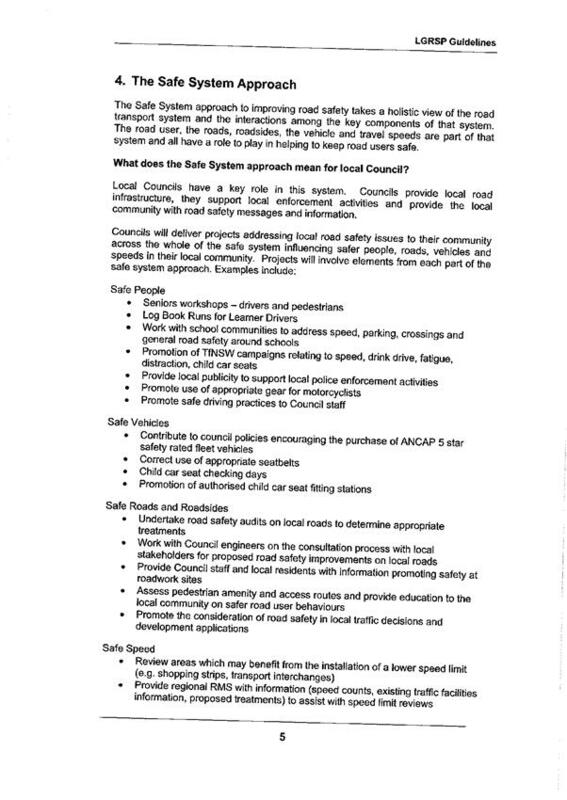 That Council note the Work Health and Safety Act 2011 obligations of Councillors according to legal advice provided to LGNSW. 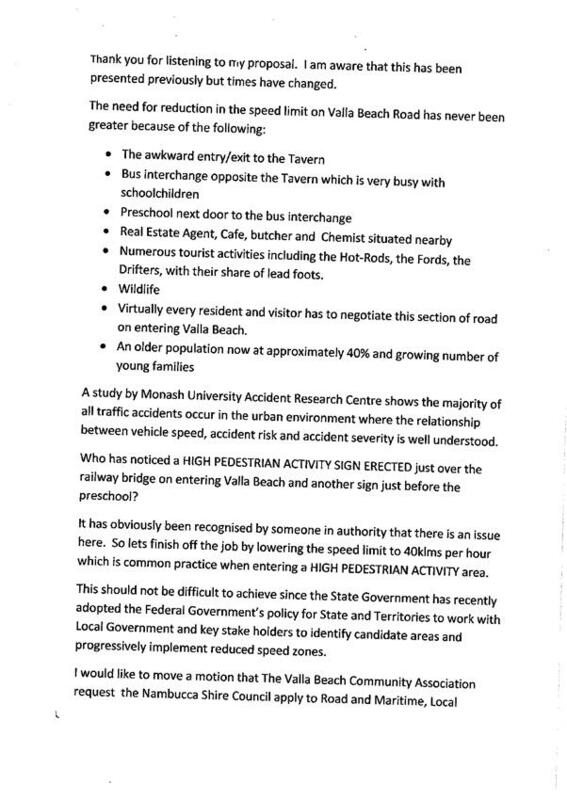 At their meeting of 21 March 2016 the Valla Beach Community Association (VBCA) resolved to request that Council apply to the RMS to have the speed limit on Valla Beach Road between the railway bridge and the western side of Kuta Avenue reduced to 40kph. For more than twenty years there have been calls from the Valla Beach community and the Valla Beach Preschool to have the speed limit reduced in this general area. Council has made previous requests but were refused on the basis that the area is not a school zone, despite the fact that the Valla Beach Community Pre-School fronts this very busy road and arguably preschool aged children are at even greater risk of running out onto the road than older students. Over the years Valla Beach Road has become busier with increased urban development and the influx of tourists. Valla Beach Road is the main thoroughfare into Valla Beach. The attached documents presented by Mr Graham Jessen to the VBCA explain the reasons for the request. 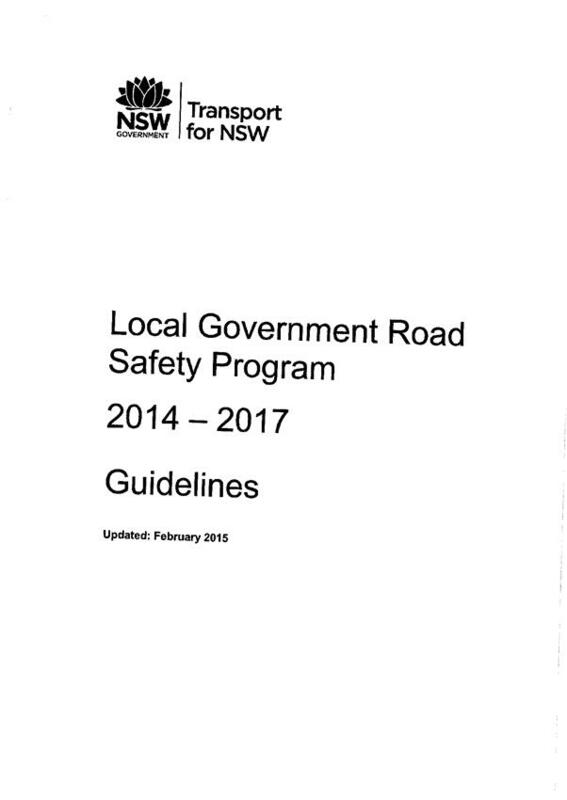 Since Council’s earlier refused requests the NSW State Government has adopted the Local Government Road Safety Program 2014 - 2017 Guidelines which focus on improved safety for pedestrians, particularly in high pedestrian activity areas such as shopping strips, transport interchanges (there is now a busy school bus interchange opposite Valla Tavern), and schools. In light of what appears to be a change in government policy, it is recommended that Council again Request a review of the speed zone. Climate change and floodplain management in Nambucca Shire LGA. 1 That Council investigate and consider the impact of climate change (particularly relating to sea level rise and flooding) on Macksville, Nambucca Heads and Scotts Head. b) create by rezoning alternative sites for further development in areas not likely to be so affected and where provision of services will not be prohibitively expensive. 3 That as part of this consideration Council conducts an inspection of areas along Coronation Road and Bald Hills Road Macksville, Wellington Drive Nambucca Heads and the caravan park Scotts Head. Apart from the intervention of climate change there is really nothing new here. Floodplain management studies conducted as far back as 1981 identified approximately 50% of Macksville as being flood prone then and recommended amongst other things limitation of development in those areas affected. It is now accepted in most quarters that climate change is a reality, the only real issue being what is causing it. With sea level rise and more frequent and severe flooding, the impact on Council’s urban areas can only be increased. Apart from the consequences of increased flooding to infrastructure and population there is the possibility of damages claims against councils which fail to take steps to prohibit development in areas that they knew or should have known were likely to be impacted by inundation. We have an obligation to protect ratepayers from this. There are flood free areas to the east and west of Macksville which would be suitable for commercial and residential development. Council might consider rezoning in those areas to accommodate that type of development and the rezoning of areas particularly within say the current commercial area of Macksville to accommodate development which would survive occasional inundation. This notice of motion was deferred by Council at its meeting on 11 February 2016 to the first Council meeting in April 2016. The matters posed by the notice of motion will be the subject of the Floodplain Risk Management Plan which is item 1 in the list of outstanding actions. The Plan will provide the Council with the opportunity to restrict development on the floodplain, being new development as well as alterations and additions to existing development. The restrictions on development can be applied via changes to the local environmental plan and development control plan. A draft Floodplain Risk Management Plan has now been received from the consultant WMA Water. The draft has been sent to the Office of Environment & Heritage (OEH) for review as they have provided two thirds of the funding for the project. Council’s Coordinator Strategic Planning and Natural Resources is also reviewing the draft document. He believes that the consultant needs to undertake further work before the draft is in a form suitable for circulation to the Estuary Committee and Councillors. The draft 2016/17 Environment Levy Program and budget is currently being developed by staff. Reducing Council’s carbon emissions and dependence on fossil fuels is a responsible step to playing a part in addressing climate change and the risks of climate change impacts. It is also important that Council increases its use of renewable energy wherever and whenever possible. The Environment Levy is the most appropriate source of funding for sustainable energy use and climate change adaptation initiatives and in particular affords Council the ability to seek grant funding which requires Council contributions. The renewable energy sector is rapidly growing with significant advances in technology and job opportunities and there are many grant programs available. Council in its Community Strategic Plan 2023 states 1.4 Sustainable Energy Use Objective: Nambucca Shire Council will provide community leadership in sustainable energy use and strive to meet the State Government’s commitment to becoming carbon neutral by 2020. That Council includes an annual Sustainable Energy Use and Climate Change Adaptation Program budget in its Environment Levy Program and considers appropriate project opportunities when it considers the draft 2016/17 Environment Levy Program and Budget. Providing an annual budget for sustainable energy use and climate change adaptation projects gives greater certainty and flexibility for staff to apply for appropriate grants as opportunities arise. It will also assist Council meeting its own stated objectives and demonstrate its sincerity in reducing carbon emissions and increasing its use of clean renewable energy. An annual environment levy allocation for sustainable energy use and climate change adaptation projects with any unspent funds rolling over to the next budget will provide opportunities for Council to move towards a renewable energy future and significantly reduce its carbon emissions. Council already undertakes such an approach to targeted environment levy funding with its Estuary Management Plan actions annual environment levy budget, from which various estuary projects are funded and carried over. · Installation of solar panels on Council buildings and selling energy back to the grid. Roof space is available on Council’s administrative offices, libraries, Macksville’s Senior Citizens Centre, community halls and works depot. Missabotti Hall has already installed solar panels. · Installing solar energy storage capacity for Councils energy use at its administrative centre and selling excess energy back to grid. Solar energy battery storage technology is advancing in leaps and bounds with affordable options now becoming a reality. · Switching from Council’s current fossil fuel dependant energy providers such as Origin which invests in coal and gas generation. To renewable energy providers such as Powershop or Diamond Energy and funding any increase in power costs from the environment levy. · Installing floating solar panels on the Bowra Dam to power the pumping station. A ‘raft’ of panels would have the added benefit of increasing shade over the water surface thereby reducing evaporation and thermal warming of the water, in turn reducing pumping requirements and water demand from the aquifer. Bowra Dam has a surface area of around 55ha. Staff estimate the dam evaporation loss to be approximately 3.5 megalitres/day in summer and 1.5 megalitres in winter. Over February this year Council pumped an average of 5.6 megalitres/day from the aquifer to the dam so approximately 62.5% of all that pumping is wasted to evaporation at enormous cost to the ratepayers and environment. Such projects are gaining momentum around the world. For example, Ichihara city in Chiba Prefecture, Japan, will soon see the largest such project completed. A 16,170 megawatt/yr floating solar power plant that will produce enough electricity to power approximately 4,970 households, while offsetting about 8,170 tons of CO2 emissions annually. This is equal to 19,000 barrels of oil consumed. Northern Areas Council in South Australia has led the way by being the first in the world to float solar panels on its Jamestown waste water ponds. http://www.abc.net.au/news/2015-04-29/solar-power-plant-at-jamestown-wastewater-site/6431872 This Council could have the opportunity to investigate the possibility of a similarly innovative project for Bowra Dam via a sustainable energy budget. Strategic planner seeking funding to engage a consultant to look at the entire system as part of the estuaries committee because of the nature of the creek system and its integration to the river PoM deferred pending funding. OEH Estuary Grant application submitted in March 2015 (project value $20,000). If successful a plan of management will be developed for Dawkins Lake to the Nambucca River via Hughes Creek. A funding announcement is expected in 2015/16. Council has been advised that its funding application was unsuccessful. 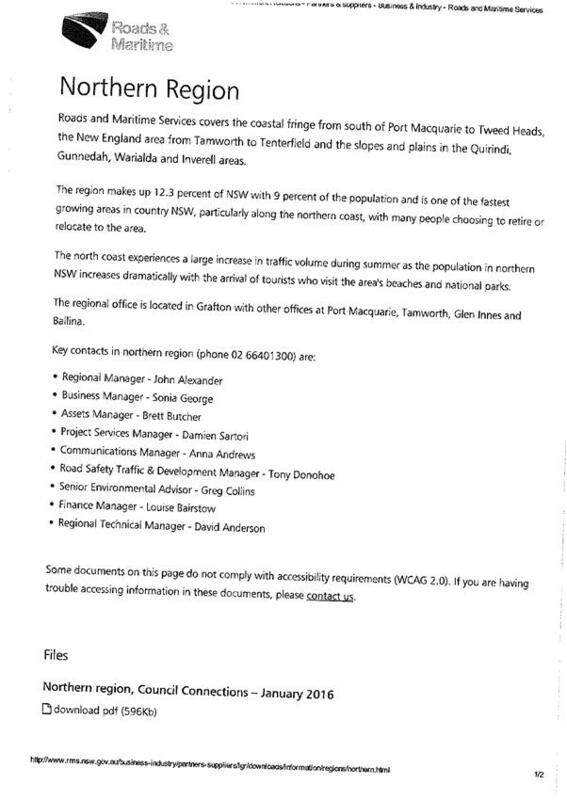 That Council write to our Local Member and respectfully ask her if she could intervene to obtain answers to Council’s questions regarding fishing matters in the Nambucca River as listed in Council’s letter on 19 February. Follow up letter sent 30 June 2015. Following the letter from the Minister for Primary Industries the GM has telephoned Fisheries staff in Coffs Harbour seeking their attendance at a Council meeting. The Fisheries staff member requested that they be provided with a list of the questions to be asked. The GM has now written to the Fisheries office with a list of questions. Letter sent 3 September 2015. As no further advice has been received it not proposed to follow the matter up. Council investigate opportunities to assist in the management of the (Kingsworth Lake) reserve and the matter be reported back to Council in 6 months. Deferred due to workload of Coordinator Strategic Planning and Natural Resources. Matter has been discussed and no opportunities identified. Will be reported to Council in the next month. Consultants engaged. RMS reviewing data supply. Still being assessed; report not complete; briefing now scheduled for 28 April 2016. Discussed with staff on 6/4/2016. Final warning to be provided to lodge a DA or receive a fine for undertaking development without consent. That the General Manager follow up the question of the appropriate number of companion animals at 21 George Street, Bowraville, and the requirement for a DA for the shipping container. Inspection being arranged. Report to Council in late November/early December. Proposed to report to second meeting in January 2016. A letter has been sent requiring the lodgement of a DA for the continued use of the container. That Council approach the Minister for Primary Industry, Land & Water advising him of the present situation (with the Rotary Lookout) and that Council is willing to providing matching funding to the funding provided by Rotary and requesting the Minister reconsider their allocation of funds. Council make representations to the Minister for Social Housing in relation to its concerns about the transfer of public housing to various non-government organisations and the substantial loss of rate income which will flow from such transfers. Response received from LGNSW supporting Council’s representations and indicating they will also lobby in relation to the issue. Report to be presented to the March 2016 Council meeting. Will be reported to Council in May 2016. That the Notice of Motion concerning climate change be deferred to the first Council meeting in April 2016. That the customer’s progress in reducing the outstanding balance on their water account be reviewed in July 2016 in a report to Council. Modification to development consent - to connect Old Coast Road to Florence Wilmont Drive. Deferred at Council’s meeting of 17 March 2016 to enable assessment of trees requiring removal from the road alignment. Applicant advised & now awaiting additional information. Applicant withdrew modification on 22 March 2016. Anticipate revised modification application will be lodged in the future. Deferred to future meeting at request of applicant. Given the withdrawal of the modification to DA2012/011 it is proposed that consideration of the future of the contribution plan be deferred until the applicant lodges the foreshadowed revised modification application. Otherwise Council may be required to deal with the matter twice. Council staff report back on NVTA suggestions and any other suggestions (re VIC at Highway Service Centre) and approach Bellingen Shire Council to determine their interest. 1. That the information concerning the provision of a credit adjustment to the Nambucca Heads Island Golf Club be received. 2. That there be a further report to Council on the review of ratepayers with large sewer access charges. The report is for information. There are no real options. Council received a detailed submission from Cr Morrison on behalf of the Nambucca Heads Island Golf Club querying various aspects of the Club’s charges and particularly their sewerage usage charge. A copy of Councillor Morrison’s submission and the response which has been provided is listed for information in a report in the closed meeting agenda. By way of summary a credit adjustment has been provided to the Club totalling $51,949.42. The credit adjustment has come about principally as a consequence of the reversal of their sewer access charge for a 100mm (water) connection and its backdating to 1 July 2006 being the date that Council introduced its sewer access charge. · $39,437.00 being for a reversal of the sewer access charge for a 100mm water connection backdated to 1 July 2006 being the date that Council introduced its sewer access charge. · $8,321.62 for trade waste usage from 1/7/2010 to 30/6/2012. Whilst the Council had previously acted to drop the trade waste charge on the 100mm meter, upon reviewing the matter it was noted that it was only backdated to July 2012 being the financial year in which Council received the request from the Club for a review. The credit should have been backdated to 1 July 2010 being the commencement of trade waste charges. · $2,846.15 being for the reduction of the sewerage discharge factor on the club house (20mm water connection) to 85% (from 95% which is the guideline rate for clubs) on the basis that some of the consumption is used to water gardens and the lawn outside the clubhouse. This credit adjustment has been backdated to 1 July 2012 prior to which the SDF was only 30% (this previous SDF was an error in the Club’s favour). · $863.59 being the reduction in the sewerage discharge factor on the 100mm connection from 0.0050 to 0.0 on the basis that none of the consumption is returned to Council’s sewerage system. This credit adjustment has been backdated to 8 February 2013. For the period prior to this date, Council staff had already provided a credit adjustment following a query from the Club (refer to letters in closed). To understand the reason for the major component of the credit adjustment, being the reversal of the sewer access charge, a copy of the Club’s rates notice is shown as an attachment in the closed report. It will be noted there is a sewer access charge for a 20mm (water) connection of $239.00 as well as a sewer access charge for a 100mm (water) connection of $5,975.00. These relate to the metering configurations at the Club whereby they have a metered 100mm connection, but also a metered “by-pass” low flow connection of 20mm. Because of the metering arrangement and the fact that the separate services to the clubhouse and golf course branch off after the meters, it is unknown what the water flow requirement is for the clubhouse versus the golf course and therefore the sewer usage for the clubhouse. However given the size of the Clubhouse it has been assumed that in general, the 20mm connection would be sufficient to provide for its operation. To further complicate the matter, in January 2013 the Golf Club wrote to Council and queried the sewerage discharge factor on the golf course noting that the on-course and green’s shed toilets drained to the sewage system. It has now been ascertained that these drain to a septic system on the golf course itself and not to Council’s sewerage system. With the determination that in all likelihood all water from the 100mm connection is being directed to the fairways and greens with none returning to Council’s sewer, there is no basis for the sewer access 100mm charge of $5,975 per annum. The problem originates from the implementation of the Best Practice Management of Water Supply and Sewerage Guidelines which encouraged Councils to move to access and volume pricing for sewerage discharge by business. The problem has been compounded by the significant increases in price which have been required to fund Council’s capital works program. Council staff are now reviewing other ratepayer accounts which include a large sewer access charge to ensure that the water supplied through a large connection is likely to be returning to the sewer in the course of normal operations. A 100mm water connection is a common requirement for premises with fire hose reels. As per the golf course, a 100mm water connection which has the only purpose of supplying a fire hose reel would not warrant a sewer access charge of $5,975 per annum. There will be a further report for information on any premises where an adjustment is required in access and usage charges. There has been extensive consultation with Council’s Rates Officer and Manager Water & Sewerage. There are no significant social implications as Council has provided a credit adjustment. The primary risk discussed in the report is that the issue may pertain to other ratepayers. This is the subject of a review by Council staff. The credit adjustment means that Council will need to adjust its budget for sewer revenue. There will be a negative impact on sewerage working funds. Further investigation is required to check whether the same problem has not occurred with other ratepayer accounts. These will be fairly limited in number being those accounts with large sewer access fees. Council will recall this development. The Applicant has now applied to modify the subject Development Consent to have conditions 7, 16, 17 and 18 amended. 1. Council’s standard requirements for new traffic generating development with access to a sealed road requires sealing of the access to a minimum of 3 metres within the property boundary or 10 metres from the edge of the road so as to minimise the tracking of gravel and sediment onto the road pavement. 2. The approved hours of operation are consistent with consent conditions applied to development that may cause local noise impacts. 3. The modifications sought to conditions 17 and 18 are incapable of enforcement. · Modify condition 7 by deletion. Condition 7 required the access to the development to be sealed to a minimum of 3 metres within the property boundary or 10 metres from the edge of the Wilson Road pavement. · Modify condition 16 to permit an extension of working hours to 4pm on Saturdays and to permit work on Sundays. · Modify condition 17 to permit ‘other’ vehicle/plant/machinery to be serviced where there is no financial gain by the owner. · Modify condition 18 to permit the storage of other vehicle/plant/machinery (above and beyond 3 watering trucks) when there will be no financial gain by the owner. The application was notified for 21 days. One submission was received. This is attached for the information of Councillors. After consideration of the submission, the author concurs with the commentary contained therein. With respect to the modification of condition 7, this is a standard Council requirement for a new traffic generating development gaining access off a sealed road. Given that the proposed development is accessed off Wilsons Road (arterial road) and the land contains a dwelling in addition to the depot, it is not considered to be appropriate for Council to waive the requirement for this development. With respect to the modification of condition 16, the hours of operation are consistent with consent conditions applied to development that may cause impacts in a local context eg noise. The Applicant has not provided sufficient justification to warrant any deviation from this criteria. With respect to condition 17, modification as requested by the Applicant would make it close to impossible to police, with any deviation from this resulting in an unlawful development scenario. Based on this, the condition should not be changed. With respect to condition 18, amendments to this requirement will make compliance complicated and enduring and will potentially lead to, again, unlawful uses. The condition should therefore stand. The Development assessment process must result in certainty. Statements from the Applicant about ‘no financial gain to owner’ cannot be translated into an appropriate consent condition. This development has been considered on the basis of a water carting business being operated from the premises with servicing of the vehicles being ancillary to the Depot. To arbitrarily grant consent to allow for ‘other uses’ on the basis that the operator does not make any financial gain is not considered appropriate. In any case, consent would not be required for non-commercial activity for example the servicing of a family members vehicle. This report poses no adverse impacts of the environment. This report has no adverse social implications. This report poses no adverse economic impact. Determination: The development application has been determined by Nambucca Shire Council by way of granting of consent subject to conditions described below. An applicant may request a review of this decision under Section 82A of the Environmental Planning and Assessment Act 1979. A request for a review must be made within six (6) months after the date on which you receive this notice and must be accompanied with the prescribed fee. 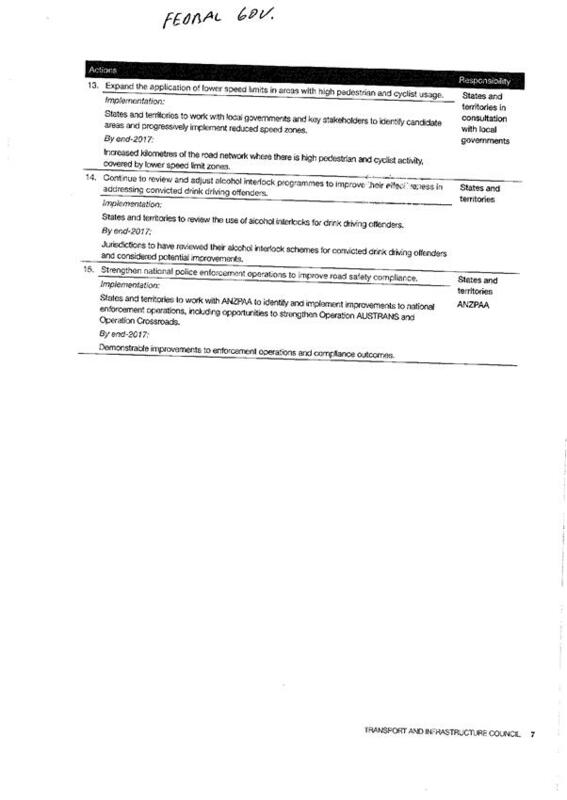 1 The development is to be implemented in accordance with the plans and supporting documents endorsed with the Council stamp, dated TBC and authorised signature, and set out in the following table except where modified by any conditions of this consent. 2 All building work must be carried out in accordance with the requirements of the Building Code of Australia as in force on the date the application for the relevant construction certificate was made. 4 Any works involving the generation of noise which extends beyond the boundary of the land, other than works required in an emergency to avoid the loss of life, damage to property and/or to prevent environmental harm, shall only be carried out between 7:00 am and 6:00 pm Monday to Saturday inclusive. No works shall occur on public holidays. 5 All builders rubbish is to be contained on the site in a ‘Builders Skips’ or an enclosure. Building materials are to be delivered directly onto the property. Footpaths, road reserves and public reserves are to be maintained clear of rubbish, building materials and all other items. 6 Consent from Council must be obtained for all works within the road reserve pursuant to Section 138 of the Roads Act 1993. Three (3) copies of engineering construction plans must accompany the application for consent for works within the road reserve. Such plans are to be in accordance with Council's Adopted Engineering Standard. 7 A sealed driveway is to be constructed from the edge of the Wilson Road bitumen to 3 metres within the property boundary in accordance with a consent granted by Council under section 138 of the Roads Act 1993. If the above requirement will result in the sealed section of driveway exceeding 10m in length, sealing a minimum of 10m from the edge of the existing bitumen will satisfy this condition. 8 Where any damage occurs to Council’s infrastructure during construction, such as kerb and gutter, footpaths, inlet pipes, etc, fronting the development site, the principal contractor shall replace or make good the damaged infrastructure before the occupation certificate is issued. e Not onto adjoining land. 11 A building certificate must be obtained from Council. All engineering works as specified by Ron Hawkins & Associates Ref No 15-070 are to be completed and inspected by Council prior to the issue of the Building Certificate. 12 The diesel fuel tank must comply with the requirements of the NSW Work Cover Authorities and Australian Standard AS1940-2004 “The Storage and Handling of Flammable and Combustible Liquids”. In this regard, certification from a Work Cover Authority Approved Consultant must be submitted to Council. 13 The building must not be used for any form of residential occupation. b must cause a copy of the Certificate (together with a copy of the current Fire Safety Schedule) to be prominently displayed in the building. 15 Authorised Council Officers must be permitted access to the property during normal business hours for the purpose of ensuring compliance with consent conditions. 16 Servicing of vehicles shall be conducted within the buildings associated with the development. Waste from servicing must be managed in accordance with EPA guidelines. Any associated noise that is generated from the servicing of the water carting vehicles must not unreasonably interfere with the amenity of the area. In particular noise when audible within 30m of a surrounding dwelling, can only occur Monday to Saturday from 7.00am to 6.00pm. 17 The use of the truck depot to service vehicles and machinery for commercial gain that are not associated with the development is not permitted under this development consent. 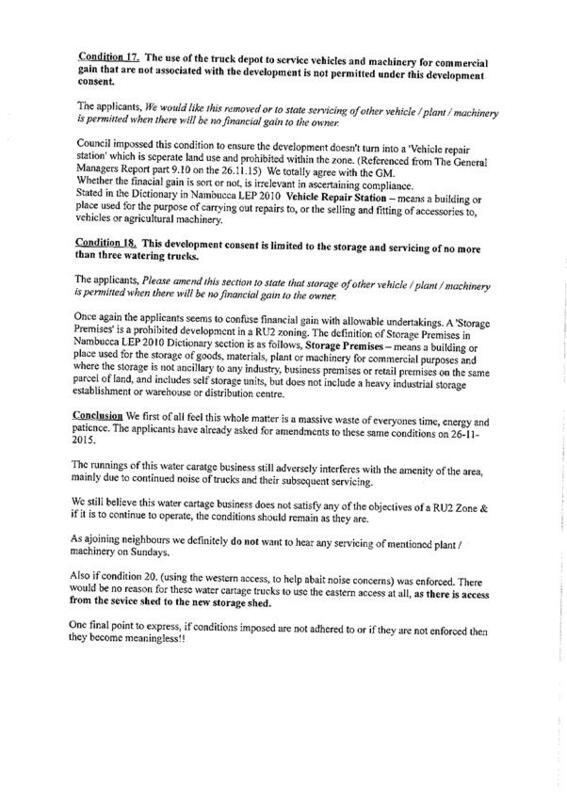 18 This development consent is limited to the storage and servicing of no more than three (3) watering trucks. 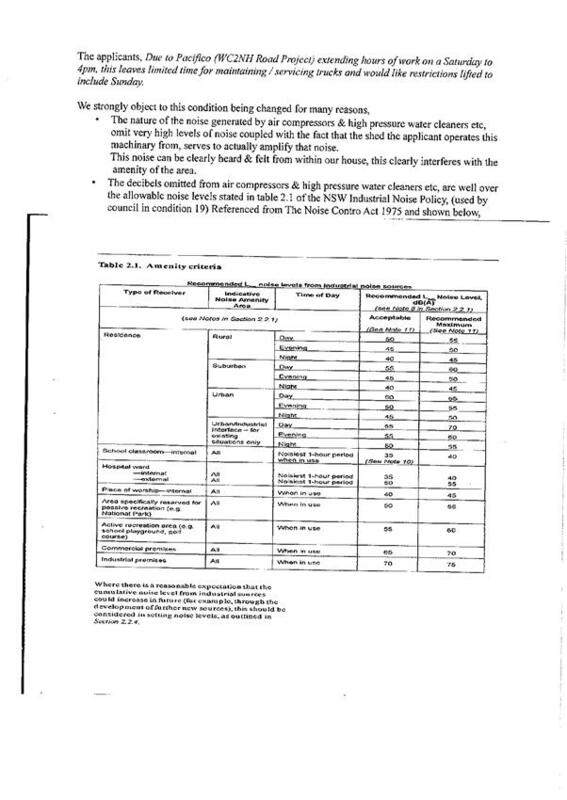 19 Noise emitted from the truck depot must comply with the requirements for industrial premises contained in the NSW Industrial Noise Policy and must not cause the relevant amenity criteria in Table 2.1 in the NSW Industrial Noise Policy to be exceeded. 20 Vehicles used in association with the operation of the water carting business must use the most western internal access road. The use of the eastern access road may only be used by the water carting vehicles for the purpose of servicing those vehicles. 21 Sediment and erosion control measures must be maintained at all times until the site has been stabilised by permanent vegetation cover or hard surface. Failure to comply with conditions of this development consent may lead to an on the spot fine (generally $750 or $1500 Corporation) being issued pursuant to Section 127A of the Environmental Planning & Assessment Act 1979 or prosecution pursuant to Section 125 of the Environmental Planning & Assessment Act 1979. The proposed development includes the construction of a new tennis clubhouse adjacent to the existing tennis courts at Gordon Park, Nambucca Heads. 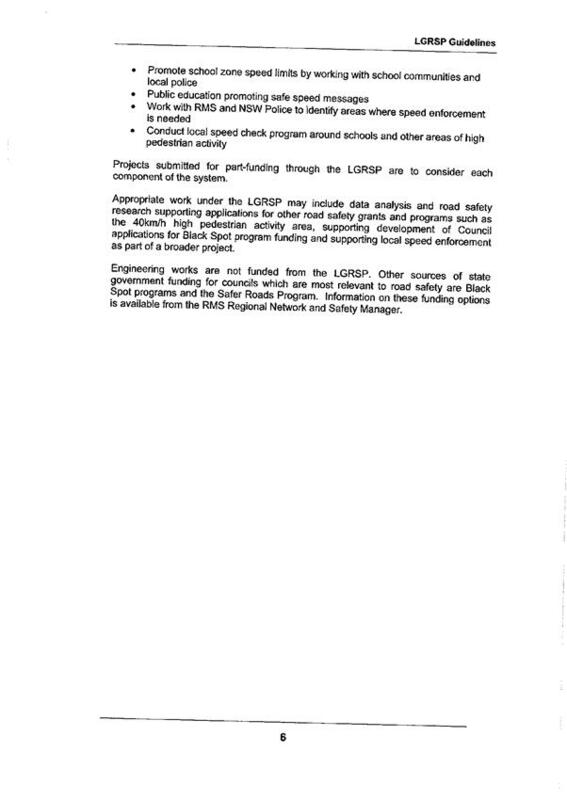 A copy of the proposed plans has been included within Attachment 1. The application has been notified and assessed in accordance with the Environmental Planning and Assessment Act 1979 and subject to the recommended conditions of consent contained within Attachment 2, is considered to be consistent with all of the relevant matters for consideration. The development application is being referred to Council for determination because in accordance with section 47E of the Local Government Act 1993, staff do not have delegated authority to determine the application. 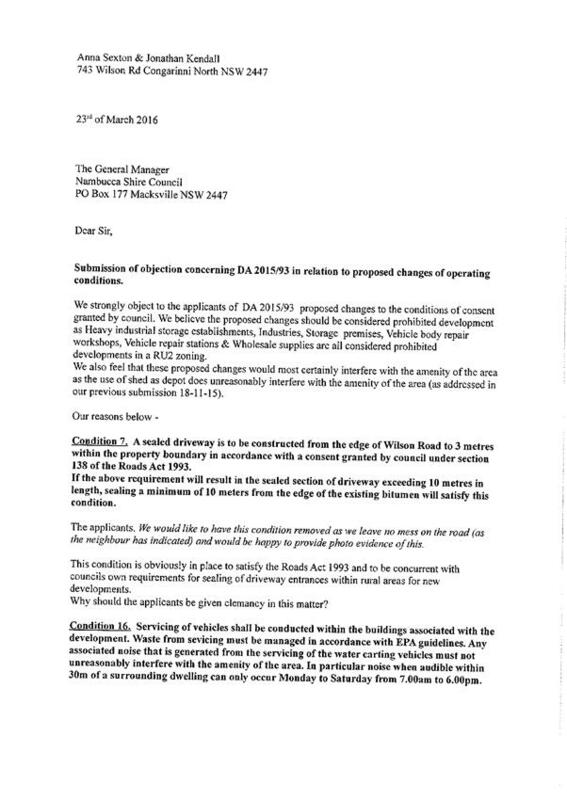 That Council as the consent authority, pursuant Section 80 of the Environmental Planning and Assessment Act 1979, grant consent for Development Application 2016/044 for the construction of a tennis club house at Lot 7010 DP 1054529 – Wellington Drive, Nambucca Heads, subject to the schedule of conditions outlined in attachment 2 of this report. (b) Refuse consent to the development application. The subject site is located at Gordon Park off Wellington Drive, Nambucca Heads and is legally known as Lot 7010 DP 1054529. It is located within the RE1 Public Recreation zone under the Nambucca Local Environmental Plan 2010 and contains a gradual slope towards the east. The site contains an existing building which contains a public toilet/tennis clubhouse building, tennis courts, small grandstand, playground, picnic areas and a car park. The proposed development seeks approval for the construction of a new clubhouse adjacent to the existing tennis courts. 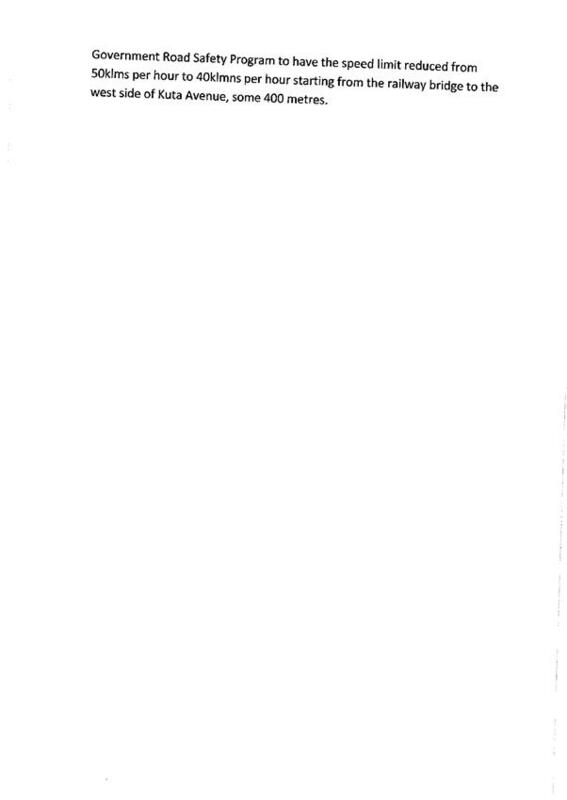 A copy of the proposed plans have been included within Attachment 1. Please note that the proposed building does not include public toilets. Furthermore, the proposal as submitted does not include the demolition of the existing public toilets/clubhouse building. Council is currently in the process of preparing a proposal to construct new detached toilet facilities within the public reserve as part of the Gordon Park redevelopment which are to be open to the public. Development consent is not required for the toilet facilities under clause 65 of the State Environmental Planning Policy (Infrastructure) 2007. The redevelopment works will be part of a new master plan for Gordon Park which still requires public consultation prior to commencement. Furthermore, Council currently has funding available for the construction of the new public toilet facilities; however, advice from the tennis club is that funding for the construction of the proposed development cannot be obtained until post development consent. Having regard to the above, due to the uncertainty which results from the unknown completion of the proposed building and the new public toilets, demolition of the existing public toilets/clubhouse building will be undertaken as part of the Gordon Park redevelopment works to ensure there will not be a period where public toilets will not be available. Furthermore, a collaborative approach with regards to a new shared facility has not been undertaken between Council and the tennis club as there is uncertainty with regards to funding and it is considered that detached structures will still achieve a positive aesthetic and user friendly improvement to the existing park. Due to the scale of the development and the location and modified environment of the site and its surrounds, it is not considered that the proposal will have any significant impacts on threatened species, populations, communities or their habitats. Conditions have been included within the conditions of consent which will ensure the proposed development is consistent with Planning for Bushfire Protection 2006. The proposed development is defined as a community facility which is permissible with consent and is considered to be consistent with the relevant objectives of the zone. · It will not impede or diminish existing public access to and along the foreshore, with opportunities for new public access not available. · The site is considered to be suitable for the proposed development due to its consistency with the existing land use and built form, location within a public reserve, and that the built form is compatible with the scenic character of the area. · There is no built form proposed which would result in any overshadowing on the coastal foreshore or any loss of views from a public place to the coastal foreshore. · The aesthetic appearance of the proposed building compared to the existing will improve the visual amenity and scenic quality of the coast. · It will not result in any significant impacts on any native coastal vegetation or wildlife corridors, rock platforms, water quality of coastal water bodies, or native flora or fauna or their habitats. · It will not result in any detrimental cumulative impacts on the coastal catchment. · Onsite effluent disposal is not proposed. · Untreated stormwater will not be discharged into the sea, beach, estuary, lake, creek, or onto a rock platform. · The subject site is not subject to coastal hazards and will not impact on coastal hazards or increase the risk of coastal hazards on any other land. The proposed building will be located within an area of land mapped within the flood planning level (FPL). The existing ground level in the location of the proposed building is 3.2m AHD at the western elevation and slopes down to 2.5m AHD at the eastern elevation. With the flood planning level of the site being 3.296m AHD, it is considered appropriate for the floor level to be raised to be equal to or above the FPL, with all construction materials being flood compatible and capable of withstanding a flood event. Conditions to this effect have been included within the recommended conditions of consent. Having regard to the above, it is not considered that the proposal is inconsistent with the flood hazard of the land, will not significantly adversely affect flood behaviour, will not pose significant risk to human life, will not result in any adverse environmental damage, and will not result in unsustainable social or economic impacts on the community. The proposed development will be connected to reticulated sewer, water, and power. The proposed earthworks (footings) will not impact significantly on surface water flows, will not result in any significant impacts on the future uses on the land or redevelopment, will not impact any contaminated soil or the amenity of surrounding properties, is unlikely to disturb any relics, and appropriate erosion control measures have been included within the recommended conditions of consent. The site is not considered to be a potential koala habitat because specified feed trees do not constitute 15% of the total number of trees in the upper or lower strata of the tree component. It should also be noted that native vegetation will not be impacted by the proposal as the site is substantially modified. The land is not considered to be contaminated because there are no known previous uses or activities on the site that would have resulted in any contamination of the land and the proposal does not include a change of use of the land. It is not considered that the proposed development will result in any adverse effects on oyster aquaculture development or a priority oyster aquaculture area because of the sites location from any of these areas, with earthworks and stormwater flows resulting from the development being appropriately managed by conditions of consent. The proposal is considered to be consistent with the matters for consideration outlined in Clause 8 and the development controls within Part 4 because it will not contradict the aims of the policy or result in any significant impacts on the coastal environment having regard to scenic qualities, access, archaeological significance, ecosystems, coastal processes, wildlife corridors; water quality; or result in conflict between land-based and water-based coastal activities. There are no draft environmental planning instruments applicable to the proposed development. The application was notified and advertised in accordance with Part A of the DCP. This includes notification to the Nambucca Local Aboriginal Land Council. No submissions were received. Subject to the recommended conditions of consent and as assessed throughout this report, the proposed development is considered to be satisfactory having regard to the relevant matters for consideration under clause A5.0. The proposal will not result in the increase in traffic generation to the site as it includes the replacement of a tennis clubhouse. No new tennis courts are proposed. Furthermore, the clubhouse adjoins an existing sealed public car park which has been recently constructed by Council to serve the tennis courts and public reserve. All works to be undertaken as part of any consent will be subject to a condition of consent requiring the installation of adequate erosion and sedimentation devices which are consistent with Part D of the DCP. Conditions have been recommended to be included within the consent regarding the management of waste during construction. (a) (iiia) Any planning agreement that has been entered into under section 93F, or any draft planning agreement that a developer has offered to enter into under section 93F. There are no planning agreements applying to the subject site. There are no matters prescribed by the regulation. Clause 92(1) (a) - For the carrying out of development on land to which the Government Coastal Policy applies, the provisions of that Policy. Matters for consideration to implement the NSW Coastal Policy are provided in Clause 5.5 (Development within the coastal zone) under the NLEP 2010. These are similar to Clause 8 (Matters for Consideration) under SEPP 71. It is considered that the matters for consideration under Clause 5.5 of the NLEP 2010 and Clause 8 of SEPP 71 have been satisfactorily addressed, therefore, satisfying the requirements of the NSW Coastal Policy. A condition has been included within the consent requiring any demolition works to be undertaken in accordance with AS2601. It is not considered that the nature or location of the proposed development will be contrary to any of the management actions outlined within the Coastal Zone Management Plan for the Nambucca Shire Coastline. (b) The likely impacts of that development, including environmental impacts on both the natural and built environments, and social and economic impacts in the locality. It is considered that the proposed development will improve the existing character of the site as it will result in a built form which is purpose built for the use as a tennis clubhouse and will be of a design which is more compatible with the site and surrounding area. Existing access to and from the site is considered to be appropriate. It is considered that the proposal will result in positive aesthetic impacts on the existing reserve, with existing amenities being maintained to the general public. The development will be connected to all necessary utilities. In accordance with the Due Diligence Code of Practice, there are no relevant confirmed site records or other associated landscape feature information on AHIMS, no other sources of information of which a person is already aware, and the development will not impact on any landscape features that are likely to indicate the presence of Aboriginal objects. Provision of reticulated water and stormwater drainage infrastructure has been conditioned as part of the consent. Conditions requiring the installation and maintenance of erosion and sedimentation controls have been included within the recommended conditions of consent. It is not considered that the proposal will have any significant impacts on threatened species, populations, communities or their habitats. There is suitable room on site for the storage of waste containers (with conditions for the storage and disposal of waste during construction included within the recommended conditions of consent. Construction hours have been conditioned. Flooding and bushfire has been assessed as satisfactory earlier in this report. The proposed use of the building will result in it being periodically occupied. Developments such as this in public places are commonly subject to vandalism and break-ins. The applicants have proposed fencing which will assist in deterring antisocial behaviour. However, details of fencing were not provided and the proposal did not include security screens over the building windows and doors. As such, a condition has been included within the recommended conditions of consent requiring security fencing and security screens to be provided to the satisfaction of Councils Manager Assets prior to the commencement of works. It is considered that such a condition will minimise the potential costs of vandalism on the club and Council. Having regard to the above and subject to the recommended conditions of consent, it is not considered that the proposed development will result in any adverse social impacts on the locality. Considering the minimal social impacts posed by the development it is not considered that it will result in any negative economic impacts on the locality. It is considered that the site is suitable for the proposed development because of its existing use, improved aesthetics the proposal offers to the site and the subsequent minimal impacts on the natural, social, or economic environments. Subject to the recommended conditions of consent, it is not considered that the proposal is contrary to the public interest because it will not result in any significant impacts on the natural, social, or economic environments. It is not considered that the proposal will result in any significant impacts on the natural environment because of the sites location and highly modified condition. As discussed above, it is not considered that the proposed development will result in any significant social impacts on the locality. The proposal will not negatively impact economic development within the area. The proposal will not result in any greater risk than is already present. No additional impacts than what would already occur. (b) the building has been inspected by a properly qualified person and was found, when it was inspected, to be in a condition that did not disclose any grounds for a prosecution under Division 7 of the Environmental Planning and Assessment Regulation 2000. 3. External building materials are to incorporate the use of muted, natural colours that will blend with, rather than stand out from, the landscape for major features such as walls and roofing. Prior to the issue of a construction certificate, a schedule of finishes which indicates the colour and type of all finished surfaces is to be submitted to Council for approval. 4. The plans and specifications which accompany the construction certificate application are to indicate the use of flood compatible materials below finished floor level. 5. The application for a Construction Certificate is to include plans and specifications that indicate the building has be designed so that all structural members will be capable of withstanding flood forces and the impact of any flotsam (carried by floodwaters) likely to occur for a range of floods up to and including the probable maximum flood estimated for the site. (Refer to the NSW Government’s Floodplain Management Manual for guidance on structural design of buildings in flood prone areas). 6. The application for a Construction Certificate is to include Structural Engineer's details certifying that the design for the footings has taken into account the effect on the structure, should excavation of the sewer line be necessary. The plans and specifications are to be prepared by a qualified practising Civil Engineer. Such plans and specifications must be approved by Council prior to the issue of a Construction Certificate. 7. The application for a Construction Certificate is to include plans and specification for construction of the realigned stormwater pipe. Engineering plans and specifications must include details in accordance with Appendix C of AS/NZS 3500.3:2003 - Plumbing and drainage, Part 3: Stormwater drainage. The plans must be in compliance with Council's Adopted Engineering Standards. 8. Security fencing is to be installed as located on the approved plans and security screens must be installed on all windows and doors. Details are to be provided to the satisfaction of Councils Manager of Assets prior to the commencement of works. 10. Erosion and sedimentation controls are to be in place in accordance with Managing Urban Stormwater - Soils and Construction Vol 1, 4th Edition prepared by Landcom and Development Control Plan (Erosion and Sediment Control) 2009. 12. The minimum floor level of the building shall be at or above 3.296m AHD. This level is to be certified by registered Surveyor prior to the structure proceeding past the nominated level. 13. All building work must be carried out in accordance with the requirements of the Building Code of Australia as in force on the date the application for the relevant construction certificate was made. 14. All Plumbing, Water Supply and Sewerage Works are to be installed and operated in accordance with the Local Government Act 1993, Plumbing and Drainage Act 2011, the NSW Code of Practice for Plumbing and Drainage and AS/NZS 3500 Parts 0-5, the approved plans (any notations on those plans) and the approved specifications. The Plumber must submit a Notice of Works (NoW) prior to any work being commenced on-site no later than 2 business days before the work is carried out. 15. Any works involving the generation of noise which extends beyond the boundary of the land, other than works required in an emergency to avoid the loss of life, damage to property and/or to prevent environmental harm, shall only be carried out between 7:00 am and 6:00 pm Monday to Saturday inclusive. No works shall occur on public holidays. 16. All builders rubbish is to be contained on the site in a ‘Builders Skips’ or an enclosure. Building materials are to be delivered directly onto the property. Footpaths, road reserves and public reserves are to be maintained clear of rubbish, building materials and all other items. 17. Sediment and erosion control measures must be maintained at all times until the site has been stabilised by permanent vegetation cover or hard surface. 18. All demolition works are to be undertaken in accordance with the provision of Australian Standard AS 2601-2001 “The Demolition of Structures”. 19. The development is to proceed with caution. If any Aboriginal objects are found, works are to stop and the NSW Office of Environment and Heritage (OEH) notified. If human remains are found work is to stop, the site is to be secured and the NSW Police and OEH are to be notified. 20. All of the works indicated on the plans and required by this consent, including any other consents that are necessary for the completion of this development, are to be completed and approved by the relevant consent authority/s prior to the issue of an Occupation Certificate. 22. Where any damage occurs to Council’s infrastructure during construction, such as kerb and gutter, footpaths, inlet pipes, etc, fronting the development site, the principal contractor shall replace or make good the damaged infrastructure before the occupation certificate is issued. At the commencement of building works and for the life of the development, the property shall be managed as an Inner Protection Area as outlined within Section 4.1.3 and Appendix 5 of ‘Planning for Bushfire Protection 2006’ and the NSW Rural Fire Service’s document ‘Standards for Asset Protection Zones’. Advice: An inner protection area must provide a tree canopy cover of less than 15% and be located greater than 2 metres from any part of the roofline of a dwelling. Garden beds of flammable shrubs are not to be located under trees and not be closer than 10 metres from an exposed window or door. Trees must have lower limbs removed up to a height of 2 metres above the ground. Grass must be maintained below 100mm. New construction on all elevations shall comply with Sections 3 and 5 (BAL 12.5) of Australian Standard AS3959-2009 ‘Construction of Buildings in Bushfire Prone Areas’ and Section A3.7 Addendum Appendix 3 of ‘Planning for Bushfire Protection”. 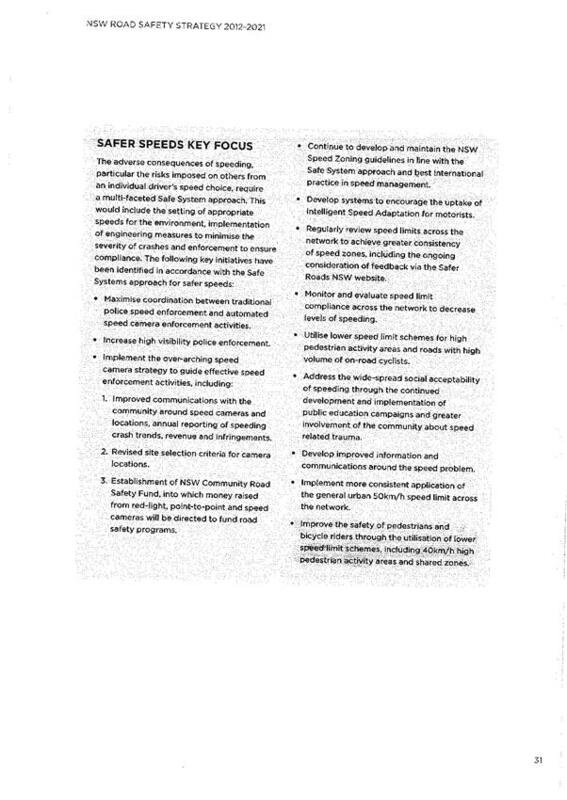 Landscaping to the site is to comply with the principles of Appendix 5 of ‘Planning for Bushfire Protection 2006’. 24. A Fire Safety Certificate shall be furnished to the PCA for all the “Essential Fire or Other Safety Measures” forming part of this approval prior to issue of an Occupation Certificate. A copy of the Fire Safety Certificate must be submitted to Council by the Principal Certifying Authority with the Occupation Certificate. (ii) was found, when it was assessed, to be capable of performing to a standard not less than that required by the current fire safety schedule for the building for which the Certificate is issued. (b) The assessment must have been carried out within the period of three (3) months prior to the date on which the final Fire Safety Certificate is issued. (c) The choice of person to carry out the assessment is up to the owner of the building. (ii) must test the operation of each new item of equipment installed in the building premises that is included in the current Fire Safety Schedule for the building. (ii) must cause a further copy of the Certificate (together with a copy of the current Fire Safety Schedule) to be prominently displayed in the building. 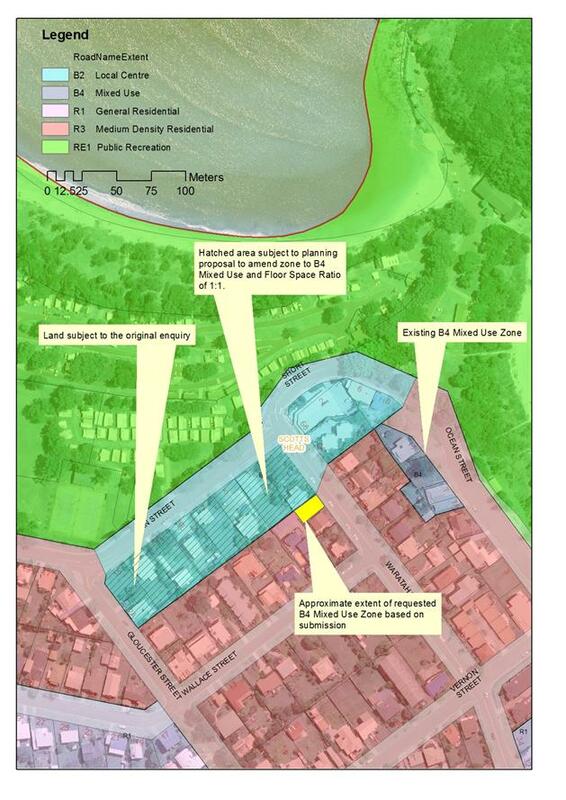 The purpose of this report is to gain a Council resolution to support a proposed LEP amendment at 54 Waratah Street Scotts Head with the purpose of amending the existing R3 Medium Density Zone on Lot 12 DP 528491 to B4 Mixed Use consist with the recent amendment in Adin Street Scotts Head. It is recommended that Council include this amendment in the housekeeping changes presently being considered by the Department of Planning and Environment. That Council resolve to rezone land at 54 Waratah Street Scotts Head from R3 Medium Density Residential to B4 Mixed Use and submit the amendment to the Minister of Planning and Environment for Gateway Determination in accordance with the Environmental Planning and Assessment Act 1979. It will be requested that this amendment be included as part of Councils recent gateway application for a housekeeping amendment. Council may choose not to proceed with this amendment. Council will recall that last year they supported a planning proposal to amend the zoning of land at Adin St from Commercial zoned land to mixed use zone land. During the exhibition of this planning proposal the owner of 54 Waratah Street made a submission to Council to extend the proposed mixed use zone to 54 Waratah Street. In considering this submission Council resolved to provide owner of this property the opportunity to provide more detail of their proposal so it could be more appropriately considered. On the 30th July 2015 Council resolved the following in respect to Adin Street Scotts Head and 54 Waratah Street. That Council proceed with the proposed amendment as drafted in this report. 2 That pursuant to Clause 59(1) of the Environmental Planning and Assessment Act 1979 Council request that a draft instrument be prepared by contacting Parliamentary Counsel directly in accordance with Council’s delegated powers. 3 That those persons/agencies that made submissions be advised of Council's decision. 4 That the owner of 54 Waratah Street be invited to provide Council with a concept plan for the proposed redevelopment of their land so that Council may further consider the appropriateness of their requested rezoning. The owner has since provided plans of demonstrating that mixed use development could be achieved on the site subject. It is noted that the plans should not be considered approved plans and may require significant modifications and refinements to be acceptable to Council and meet relevant Australian standards. The proposal is a minor extension to the proposed mixed use zone on Adin Street and will maintain the existing site densities. It is not proposed to amend the Floor Space Ratio at this site. The amendment of this site to a mixed use zone will extend the potential for landuse conflicts with the adjoining medium residential density zones to the south and west of the site. Council’s DCP requirements provide development controls to minimise land use conflicts where mixed use or commercial zoned land adjoin residential development. Future development of the site will need to ensure the development controls are adhered to or appropriate justification provided to vary the controls. Appropriate conditions of consent would be applied to the future development giving consideration the local amenity. It is recommended Council resolve to support the amendment to a mixed use zone at 54 Waratah Street and the amendment be incorporated into the Housekeeping amendment presently being considered by the Department of Planning and Environment. The proposed amendment may extend the potential for landuse conflicts however it is expected that these can be appropriately managed at the development application phase. The proposed amendment will extend the potential for commercial activity in Scotts Head. This will in part offset the recent amendment of land in Adin Street from Commercial to Mixed use which may allow the land to be developed entirely for residential development. It is expected that any risks associated with this amendment can be managed. This amendment was the result of a reasonable submission to another LEP amendment being prepared by Council, it is not intended to charge fees to action this amendment and it would be incorporated into Councils Housekeeping amendment already underway. The minutes of the Nambucca Shire Council Access Committee meeting held Tuesday 23 February 2016 are attached for Council’s endorsement. The Committee made the following recommendation for Council’s attention. That the Committee supports the improvements to public amenities as outlined and that the Council staff be thanked for their continued work to improve facilities for people with disabilities. That the Committee note discussions and possible funding for change facilities for adults with disabilities at Macksville Memorial Aquatic Centre. 1. That a note of thanks from the Access Committee be passed on to Council staff for their continued work to improve facilities for people with disabilities, particularly in regard to the improvements to public amenities. 2. That Council note discussions regarding change facilities for adults with disabilities at Macksville Memorial Aquatic Centre and that although an application for funding did not proceed on this occasion, the concept be listed for forward planning. 3. That Council endorse the remaining minutes of the Nambucca Shire Council Access Committee meeting held 23 February 2016. The Committee discussed the new public toilets at Bellwood Park which provides 2 accessible toilets (of opposite configurations ie one left hand and one right hand); and then the planning for 3 toilet blocks: at Shelley Beach and Gordon Park Nambucca Heads similar to the Bellwood Park design; and modifications to existing toilets at Valla Beach to include an accessible toilet. The Committee noted that progress on individual projects is subject to funding but were very pleased that facilities are improving. · The demand for this type of facility due to the number of adults with disabilities using the centre. · A more detailed costing of a facility would be useful if future funding were to become available. · The lack of storage generally at MMAC and need for a solution as the external accessible toilet is sometimes used to store equipment. There are however 2 internal accessible toilets. There is no impact on budgets resulting from this report. ITEM 3.1 SF2172 230216 Confirmation of the Minutes of the Previous Meeting held 24 November 2015. That the Committee confirm the minutes of the meeting held 24 November 2015. That the matters arising be noted. 2 That the Committee supports the improvements to public amenities as outlined and that the Council staff be thanked for their continued work to improve facilities for people with disabilities. 3 That the Committee note discussions and possible funding for facilities for adults with disabilities at Macksville Memorial Aquatic Centre. The next meeting will be held on 22 March commencing at 2pm in the Council COMMITTEE ROOM. Note: Peter Shales and Fiona Henwood are apologies. There being no further business the Chairperson then closed the meeting the time being 3.18 pm. The minutes of the Nambucca Shire Council Access Committee meeting held Tuesday 22 March 2016 are attached for Council’s endorsement. As there were no formal recommendations to Council from this meeting, the minutes are presented for information. That Council endorse the minutes of the Nambucca Shire Council Access Committee meeting held 22 March 2016. Nothing required in this instance. That the Committee confirm the minutes of the meeting held 23 February 2016. That the matters arising be noted, including the current exhibition of Gordon Park plans with particular note of proposed location and design of the public toilets. 1. Seniors Week lunch 6 April 2016. 2. ABC Mornings – interview with a blind garden designer living in Nambucca Heads, an inspiration for the Committee. 3. The Committee expressed concern about Coffs Harbour Access Advisory Committee’s discussions - restricting access to accessible toilets to only those with obvious physical disabilities. 4. The development of the Disability Inclusion Action Plan. The next meeting will be held on 26 April 2016 commencing at 2.00pm. There being no further business the Chairperson then closed the meeting the time being 3.00 pm. Council resolved on 31 March 2016 to accept APZ on road reservation and adjoining reserve. DA to be reported to Joint Regional Planning Panel on a date to be fixed. STATUS: Response received from DPI advising information submitted with DA is inadequate. Applicant has been provided with 30 days to supply the required information. · Connecting Florence Wilmont Drive and Old Coast Road will bring too much traffic and noise into the community. STATUS: Applicant to submit an ecological report on trees to be removed. When the report is received the DA will be referred to Council for determination. Four people lodged submissions to the original plans lodged with Council and three of them have lodged submissions (the fourth objector is not very unwell) about the amended plans lodged with Council – they all oppose the proposal, both the initial and amended plans. · Additional properties could increase stormwater and flooding issues at Kings Point. · No objection to the DA, however town water and sewer should be connected to his property by the applicant prior to subdivision being released. One submission has been received. · The adjoining owners want a road which accesses their property to remain open. · Rubbish bins to be stored under bedroom window of adjoining property. Attached is a list of Development Applications and Complying Development Applications received in March 2016 as at 5 April 2016. That the Development Applications and Complying Development Applications received in March 2016 be received for information. The attached report, produced from Council’s computer system, Authority, is for the information of Councillors with regard to approved Construction and Complying Development Certificates for the month of March 2016 as at 5 April 2016. That the Construction and Complying Development Certificates approved for March 2016 be noted and received for information by Council. The return on investments from 1 July 2015 to 30 June 2016 is expected to be around $1,058,920. The budget allocation for the financial year “2015/16” is $1,039,900. This report details all the investments placed during March and Council funds invested as at 31 March 2016. That the Accountants’ Report on Investments placed to 31 March 2016 be noted. This report details all the investments placed during March 2016 and Council funds invested as at March 2016. That Council may not meet its budget returns for 2015/2016 based on current performance. A review of budgeted interest returns for 2015/2016 will be completed with the March 2016 Budget Review and GPG Research & Advisory have provided Council with the updated interest rates. Interest on investments will be assessed with the March 2016 Budget Review, Variances will be distributed between the Water, Sewerage and General Funds for the financial year each quarter. Regional Procurement conducted a Panel Source tender via open tender for the Supply & Delivery of Modular Concrete Bridge Componentry on behalf of Nambucca Shire Council (SPT081617NAM), in accordance with Clause 166(a) of the Local Government (General) Regulation 2005. Tenders closed at 10.00am on Tuesday 29/03/2016 and a tender evaluation report (TRIM 11750/2016) is attached to the confidential report in Closed Meeting. NOTE: As per Clause 31 of Council's Code of Meeting Practice a division is required for all tenders considered at Council meetings, which requires the General Manager to record the names of each Councillor supporting and opposing the decision. 2 That the panel contract is to run for a period of 24 months commencing 15 April 2016 to 15 April 2018. 3 That a provision be allowed for a 12 month extension based on satisfactory supplier performance which may take SPT081617NAM contract through to 15 April 2019. 1 Accept the conforming tender submissions that were received prior to the nominated closing date and time. The construction of concrete bridges in lieu of timber bridges is a cost effective option to increase the asset life and reduce depreciation of council assets. The use of modular components allows construction by Councils Bridge Crew in a repetitive process that increases efficiency. Using precast components allows the majority of the construction to be undertaken in-house with only pile installation to be carried out by subcontractors. The Tender Evaluation report is attached to the confidential report in Closed Meeting for Council’s information and no further discussion is considered necessary. The acceptance of the tender recommendations has no direct environmental impact. The acceptance of the tender recommendations has no direct social impact. The tender provides Council the opportunity to source modular concrete bridge components from experienced suppliers without having to invite tenders for each individual bridge. This will allow the council the flexibility and efficiency to select the best option for each situation. Source of funding is within the council approved budget for capital and maintenance works . The agenda and minutes of the Nambucca Shire Traffic Committee meeting held on 5 April 2016 are attached for Council’s information and adoption. In relation to GB6/16 - Caltex Service Station, Mann Street, Nambucca Heads – please refer to the attachment showing proposed design. ii) Thank the Nambucca & Valla Chamber of Commerce for their interest in trialling an amended parking arrangement in Bowra Street Nambucca Heads and notify them of the reasons why it is not feasible for a trial. 2 Install signs to reinforce No Stopping restrictions at the corner of Ridge and Hill Streets, Nambucca Heads. · Police approval for the road closure. c Nambucca Heads - between 0830 and 0930 hours. iii) Advertise the road closures seven (7) days prior to Anzac Day March. 4 Install signage advising motorists of a NO PARKING zone outside 11 Ocean Street, Scotts Head. 5 i) Aprove the extension of the Cook Street Bus Zone for an additional 20m south. 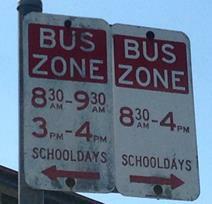 ii) Replace bus zone signage to remove inconsistences and reflect actual bus company usage. iii) Note that at this stage there is no funding available for an additional set flashing lights at the School Zone as requested by the Bowraville Central School. 6 Adopt the interim road safety measures including “No Stopping” signs and “Keep Clear” line marking as recommended by Traffic Engineers Colston Budd Hunt & Kapes Pty Ltd.
7 Change School Bus Zone times at Macksville High School to 8.00 am – 9.00 am and 2.30 pm – 4.00 pm School Days. 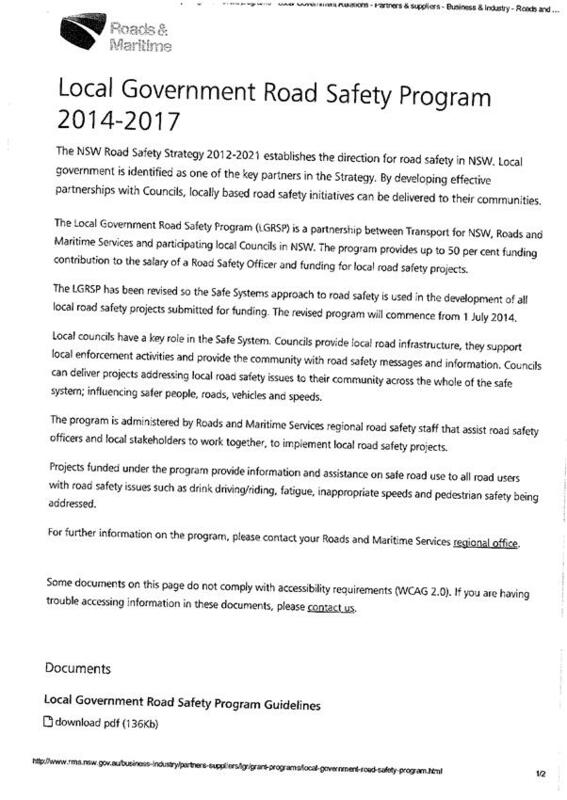 The Roads and Maritime Services (RMS) are legislated as the organisation responsible for the control of traffic on all roads in New South Wales. Traffic is controlled by the installation of prescribed traffic control devices, such as regulatory signs, or traffic control facilities, such as medians. The Local Traffic Committee (LTC) has no decision making powers and is primarily a technical review committee. It only advises the Council on matters for which the Council has delegated authority, being certain prescribed traffic control devices and traffic control facilities. The Council must refer all traffic related matters to the LTC prior to exercising its delegated functions. Matters related to State Roads or functions that have not been delegated to the elected Council must be referred directly to Roads and Maritime Services or relevant organisation. Council is not bound by the advice given by its LTC. However, if Council does wish to act contrary to unanimous advice of the LTC or when the advice is not unanimous, it must notify Roads and Maritime Services and the NSW Police and wait 14 days before proceeding. 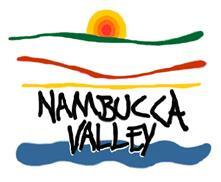 The Nambucca Shire Traffic Committee meets every two months, generally on the first Tuesday of that month. The members of the Committee met on 5 April 2016 and determined a number of matters as per the attached Agenda and Minutes. No environmental impact as a result of the recommendations. 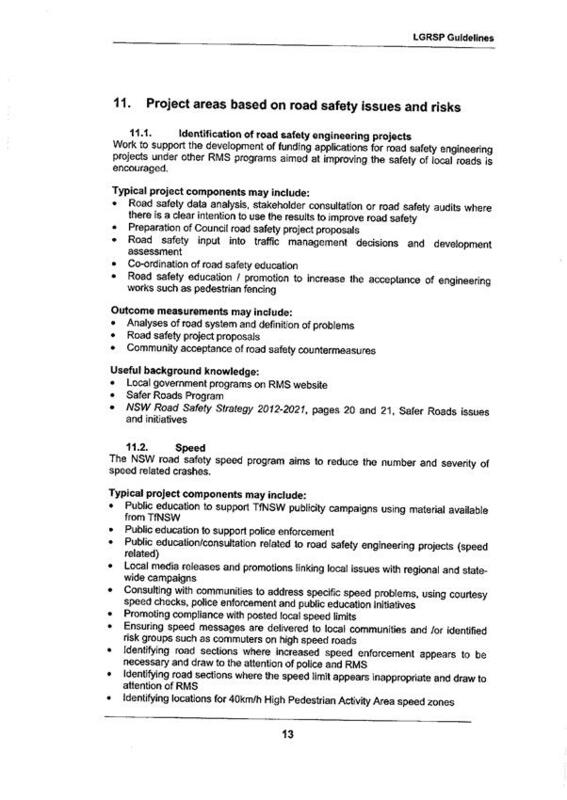 The recommendations aim to achieve an acceptable road environment for drivers and pedestrians. No economic impact as a result of the recommendations. Risks associated with the recommendations have been balanced with available funding and public acceptance. Costs associated with sign installation and line marking ($2,000). Time associated with installation signs. 4.1 Angle Parking, Bowra Street, Nambucca Heads...................... Error! Bookmark not defined. 4.2 Parking restrictions - Corner of Ridge and Hill Streets, Nambucca Heads Error! Bookmark not defined. 4.3 Temporary Road Closures for Events on Roads - Anzac Day Marches Error! Bookmark not defined. 4.4 Additional No Parking Restriction - Ocean Street, Scotts Head Error! Bookmark not defined. 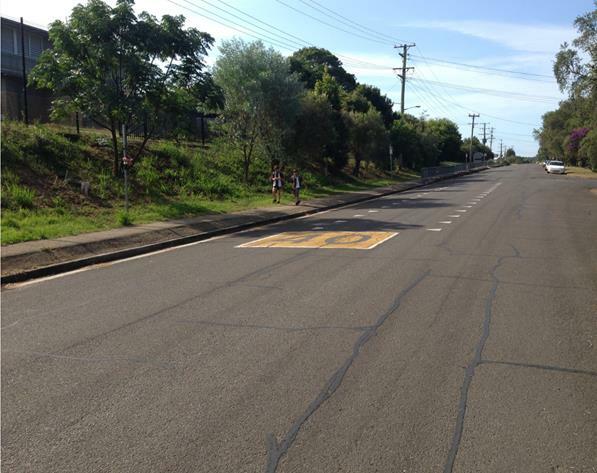 4.5 Extension of bus zone - Cook Street, Bowraville.................... Error! Bookmark not defined. This report considers the merits of changing to nose-to-kerb on-street parking arrangements in Bowra Street, Nambucca Heads. The report recommends that there is no need for change, as change to nose-to-kerb parking comes at a cost in dollar terms, the loss of car parking spaces and the loss of ability for many drivers to re-enter the traffic flow safely. 1 That Council note the contents of the report into the merits of nose-to-kerb on-street parking in Bowra Street, Nambucca Heads. 2 That Council retains the existing rear-to-kerb angled parking arrangements. 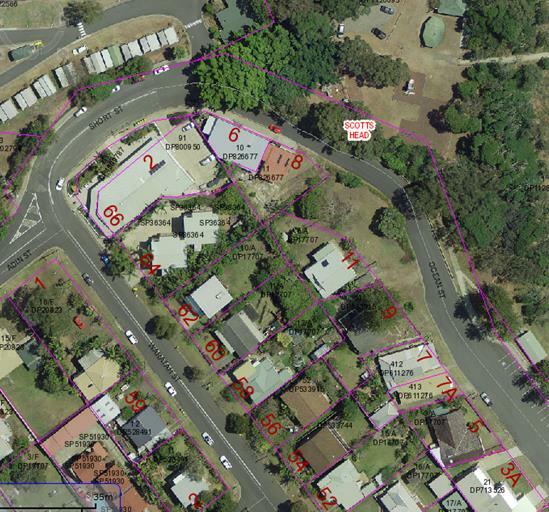 Conduct a 6 month trial period of nose-to-kerb on-street parking arrangements in Bowra Street, Nambucca Heads and Council receive a further report on the outcome of the trial period. Council previously called for a report regarding nose-to-kerb parking including what other local government areas are doing in regard to parking; the pros and cons of various ways of parking; as well as a parking strategy for Council’s consideration. 3 That the Nambucca Chamber of Commerce be asked their position as to whether they prefer nose to kerb or rear to kerb parking. The matter was discussed with Nambucca & Valla Chamber of Commerce regarding the pros and cons of the direction of on street parking and they have requested their own trial of front to kerb 450 angle parking. The predominant number of on street angled parking spaces across the Nambucca Heads town centre are reverse angle 90 degrees, reverse angle 60 degrees, or parallel to kerb parking. The actual reverse angle parking in Bowra Street varies and a majority of spaces are in the order of 70-80 degrees, this would be due to insufficient room available for 90 degree angle parking. Council engaged Rupert G H Milne Home, Landscape Consulting to develop the Nambucca Heads Town Centre Streetscape and Traffic Management Plan. A questionnaire sent to and completed by residents in Nambucca Heads and the Plan was adopted by Council in 2004 and incorporated landscaped blister arrangements to complement a reverse parking strategy throughout the CBD. A majority of the blisters have been installed at significant expense to reflect the plan. 1 Exhaust fumes are directed away from pedestrian areas and shops. 2 Ease of parking and positioning vehicle within lines. 1 Lack of vision caused by adjacent vehicles when reversing from parking bay into traffic. 2 Through traffic unlikely to allow vehicles out of space. 3 Restricted manoeuvring area when reversing out. Vehicles likely to use both through lanes if existing 60º angle is maintained. 4 To improve the reversing manoeuvre a 45º angle will have to be implemented. This will result in a loss of parking spaces. 5 Danger to persons loading and unloading boot of car or station wagon – mothers with prams; groceries etc. and service vehicles such as bread vendors etc. 6 Consideration should also be given to the age and physical capability of the drivers using this parking. Drivers may have difficulty in turning their head sufficiently and whilst this applies to Rear-to-kerb they have the opportunity to make an alternate choice before they are committed. 7 Need to consider changes to all angled business centre parking to provide consistency throughout the Shire. 1 Easy to exit parking bay. 2 Choice of travel direction after exiting parking bay. 3 Moderates speed of through traffic while parking. 4 Persons loading and unloading boots of cars and station wagons can do so in relative safety as can persons accessing service vehicles. 1 Reversing into space interrupts traffic flow. 2 As with Nose-to-kerb some drivers may have difficulty in turning their head sufficiently, however, there is an opportunity to make an alternate choice before being committed. 3 Exhaust fumes are directed toward shops and onto pedestrian areas. 4 Towbars overhang – problem for pedestrians. The response to the 2004 questionnaire was sizeable with nearly 900 responses received. The community demonstrated significant support for the retention of rear-to-kerb parking with an overwhelming response of 634 for and 236 against. Council subsequently resolved to maintain the existing rear-to-kerb angle parking. As a result of the questionnaire the Town Centre Management Plan was adopted and blisters have since been constructed, at significant cost, to suit reverse parking angles. Changing to nose in parking will result in the net loss of parking bays and cost upwards of $50k to implement, possibly more. • danger to pedestrians, particularly those who are vision impaired, with protruding tow bars or dangerous overhanging tray bodies. Tom has incurred injuries in recent times. • detracts from the residential and tourist amenity by having exhaust gases freely accessing footpaths especially at venues with outdoor footpath dining. Now the matter has been revisited and trial of front to kerb parking has been approved for River Street, Macksville, the Nambucca & Valla Chamber of Commerce have requested their own trial of front to kerb 450 angle parking. Nambucca & Valla Chamber of Commerce also consider the results of the 2004 questionnaire are no longer relevant as it was conducted 12 years ago and parking standards have changed in that time. · Lack of vision caused by adjacent parked vehicles when reversing from parking bay into traffic. · Insufficient road width to allow for a vehicle reversing out of a parking bay. The through carriageway is immediately adjacent to the parking bays, the luxury of a buffer is not available, vehicles’ reversing straight into a through carriageway is considered to be dangerous particularly where no sight distance is available. Unacceptable vehicle exhaust fumes directed onto pedestrian footpath and dining areas support change to nose-to-kerb parking. The report supports a number of pro’s and con’s that would be considered either socially acceptable or unacceptable. There is an identified increased risk of vehicular collisions where motorists reverse blindly into oncoming traffic if nose-to-kerb parking is adopted. There are limited service level changes and resourcing/staff implications as a result of this report. Chamber requests that Nambucca Shire Council considers a 3 to 6 month trial of Front to Kerb parking at 45o in Bowra St between Ridge St and Rosedale St.
· The current rear to kerb parking creates a disincentive for tourist and residents to utilise al fresco and indeed indoor dining. · Shops which attract high levels of entry such as clothing, knick knacks, surfing must keep their doors open to attract passing trade which means the shop interiors are exposed to excessive emissions. · Tourists and residents with young children are exposed to direct emissions as they walk the pathway. · Nose to kerb parking allows clear visibility of upcoming vacant spaces and single movement to enter the vacant space. · Nose to kerb allows motorist to more clearly view and avoid obstacles whilst moving in a normal forward movement. · Rear to kerb parking poses many risks for pedestrians including vehicle projections (tow bars, rear opening boot doors, overhanging objects on tradesmen’s vehicles) and possible gutter jumping. · Chamber feels that the 45o angle will allow sufficient extra space to enable loading/unloading to be carried out safely. · This is an area of concern but if motorists practice due caution should have no greater impact than the current rear to kerb parking situation. With the imminent bypass of Nambucca Valley it is imperative that Nambucca Heads creates a tourism hub for its continued prosperity. Chamber feels that nose to kerb parking is one factor that can influence this development. No Stopping signs are required at the corner of Ridge and Hill Streets, Nambucca Heads to enforce No Stopping restrictions and allow room for vehicular manoeuvres. That Council install signs to reinforce No Stopping restrictions at the corner of Ridge and Hill Streets, Nambucca Heads. Retain existing layout with no signposts. Council’s Ranger has advised parents continue to park in the No Stopping zones adjacent to and opposite Nambucca Heads Public School. The vehicles parked adjacent to busy road junctions are creating a hazard for motorists, pedestrians and school children. It is proposed to install No Stopping signs to reinforce the No Stopping road rule. There is a risk a vehicle pedestrian collision of the road rules are no adhered to. 2 hours for signs officer to install. 2 Nambucca Heads between 0830 and 0930 hours. c Nambucca Heads between 0830 and 0930 hours. 3 That Council advertise the road closures seven (7) days prior to Anzac Day March. · Refuse the applications for Road Closures. · Approve Road Closures for each event. · Nambucca Heads Branch – between 0830 and 0930 hours. Anzac Day events have been held previously with no incidents and all approvals will be in place. Returned and Services League of Australia – Bowraville, Macksville and Nambucca Heads branches. There is no impact on the environment associated with this report. Anzac Day Marches draw large crowds and promotes community spirit. These events contribute to the local economy in an indirect way. There is minimal risk to road users and both events have been held previously with no incidents. There is no impact on current or future budgets. Council has made provision within the 2011/2012 budget for advertising road closure events. There is no impact other than administration. Council has been advised of road safety concerns on Ocean Street, Scotts Head where vehicles park both sides of the street on a tight corner. That Council install signage advising motorists of a NO PARKING zone outside 11 Ocean Street, Scotts Head. Scotts Heads local roads can be additionally congested during holiday periods. On Ocean Street, near the entrance to Scotts Head reserve, vehicles tend to park on both sides of the street on a tight bend. Sight distance around the bend is limited so the ability to see on-coming traffic is obstructed by the vehicles parked on the inside of the bend. Limiting parking to the ocean side of the street along the bend will allow for safer thoroughfare for motorists travelling in both directions. Providing parking restrictions outside number 11 Ocean Street will enforce the restriction. The risk of taking no action is the increased likelihood of a head on collision during busy periods due to limited sight distance. Baldwins Bus Service has asked if Council can extend the Bus Parking Zone on Cook Street, Bowraville and correct the inconsistency of the zone times shown on the signage. 1 That Council approve the extension of the Cook Street Bus Zone for an additional 20m south. 2 That Council replace bus zone signage to remove inconsistences and reflect actual bus company usage. 3 That Council write to Roads and Maritime Services in support of a request from Bowraville Central School requesting school zone flashing lights on Cook Street, Bowraville. The bus zone on Cook Street Bowraville is used by bus companies to pick up / drop off school children to and from school and transfer children onto other buses. For just a few minutes a day the bus zone cannot cope with the number of buses arriving and other buses waiting for children to be transferred. 1 Extend the bus zone to cope with the number of buses needing to use it at the same time. Extending the bus zone will take parking away from parents picking children up from school. This has been discussed with the Principal and he is happy there is sufficient parking in the vicinity of the school gates for parents to park. Bowraville Central School have also asked that the flashing lights for the school zone be installed on Cook Street, Bowraville as 90% of the children leave the school through the Cook Street gates. There are more school children transferring from buses than getting into parents’ cars, therefore buses should be given parking priority. There is a risk additional parents will now park over the road and school children will run between buses to get to the cars. That the Committee note the adoption of the Minutes of the Meeting held 2 June 2016. 3 That Council note that at this stage there is no funding available for an additional set flashing lights at the School Zone as requested by the Bowraville Central School. 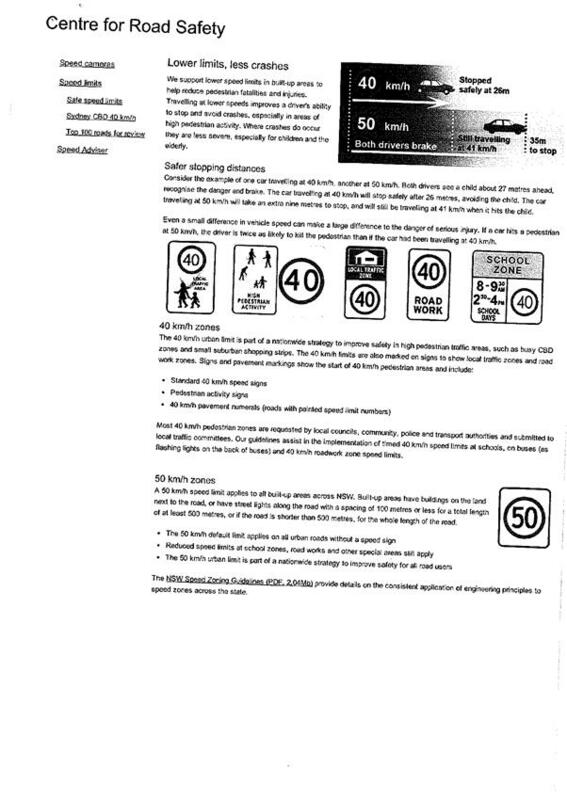 That Council adopt the interim road safety measures including “No Stopping” signs and “Keep Clear” line marking as recommended by Traffic Engineers Colston Budd Hunt & Kapes Pty Ltd.
That Council change School Bus Zone times at Macksville High School to 8.00 am – 9.00 am and 2.30 pm – 4.00 pm School Days. The next meeting will be held on 7 June 2016 commencing at 10.30 am.